There's a better way to play, if Nintendo offers it to us. I love the Nintendo Switch. It's taken the PlayStation Vita's place in my rotation as the primary portable console. Home console games on-the-go has always been a dream of mine; the Switch is as close to full achievement of that dream as we can get with current technology. I rarely use the system in the dock, unless I'm streaming or recording. It's my go-to machine for independent games now. I've re-purchased numerous titles—Stardew Valley, Axiom Verge, Oxenfree, Steamworld Heist—just to have them on Switch. There are games I already own that I'm holding out on playing again until their potential Switch releases, like the Zero Escape Trilogy, Dark Souls Remastered, or the Trails of Cold Steel games. I think visual novels as a whole would do well to look at the Switch as their new home. I'm outside of the honeymoon period though. As I get more and more games on the system, tiny issues bug me more. It's slightly too wide to be really comfortable playing in bed. One of my Joy-Cons had the wireless reception issue and later stopped docking onto the system. The battery life when I've traveled isn't great. But one issue bugs me more than most: the "directional pad" on Joy-Con L.
I put it in quotes because it's not a directional pad at all. It's actually four separate buttons in a similar configuration. Nintendo Switch teardowns back this up, showing the seperate inputs instead of a single physical rocker like the Switch Pro Controller or the PlayStation Dual Shock 4. Trying to play games that I'd usually enjoy on a d-pad is a struggle on the Switch. Playing Shovel Knight: Treasure Trove early in the system's lifespan, I actually found it was easier to play with the analog stick. Command throws on a Joy-Con make the Pope cry. 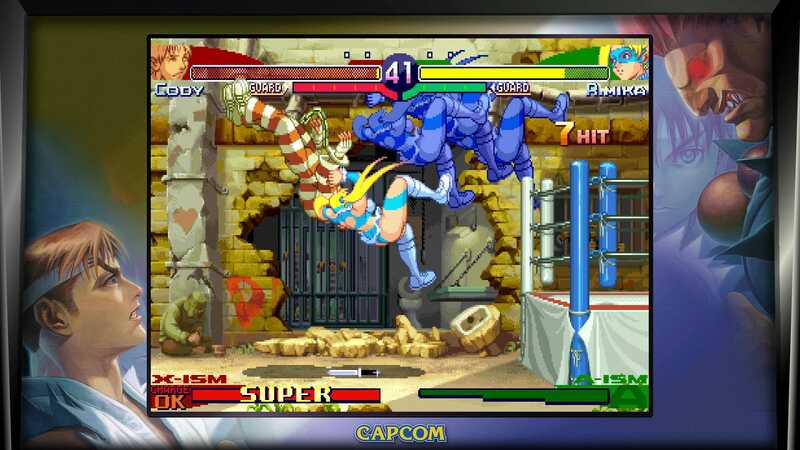 A year later, playing Mega Man Legacy Collection or Street Fighter 30th Anniversary Collection on either the Joy-Con analog stick or d-pad feels like having ketchup and spaghetti together; it's fine if you just need to get by, but there are better options. Trying to do a Street Fighter command throw on a Joy-Con is self-flagellation. Precision movement in a 2D side-scroller like Mega Man II leaves you with a thousand-yard stare, reminiscing about halcyon days with a real d-pad. You might be fine with it, but that's adaptation, not optimization. It's your uncle insisting that he's perfectly fine getting around town, even though you can see he's limping on that knee. People can play Dark Souls on Donkey Kong Jungle Beat bongo controllers, but that's doesn't make them the best way to play. There are options, but they break the portability aspect of the system. "Buy another controller, Mike!" you scream into the void. 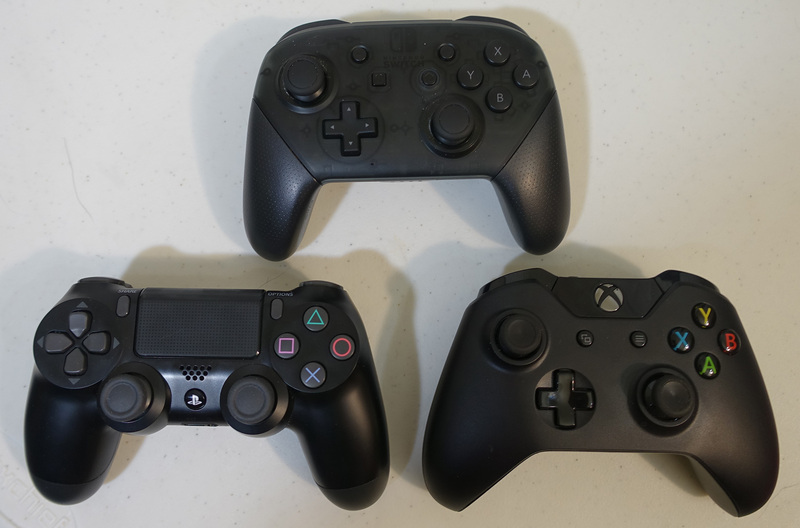 I have a Pro Controller and 8bitdo N30 Pro as alternatives. They work quite well and I love them. (The Pro Controller does have its own issues, but I'll take it over the Joy-Con.) But they also break one of the selling points for the Nintendo Switch for me. I like being able to hold the entire thing and use it as a portable system: using the alternative controllers means pulling out the kickstand and propping the system up on a tabletop somewhere. It's a workaround. I understand the reasoning behind the Joy-Con L directional button scheme: it's meant to allow for two players to enjoy games on a single system with an individual Joy-Con. But I've never used the feature outside of review testing or showing someone that it can be done. I'm a curmudgeon, playing my games alone in a dark corner like a Morlock. Nintendo can fix this, though. Way back when patents related to the Nintendo Switch were posted, diagrams included alternate Joy-Con configurations. One diagram showed Joy-Cons with the analog sticks set at the same height. 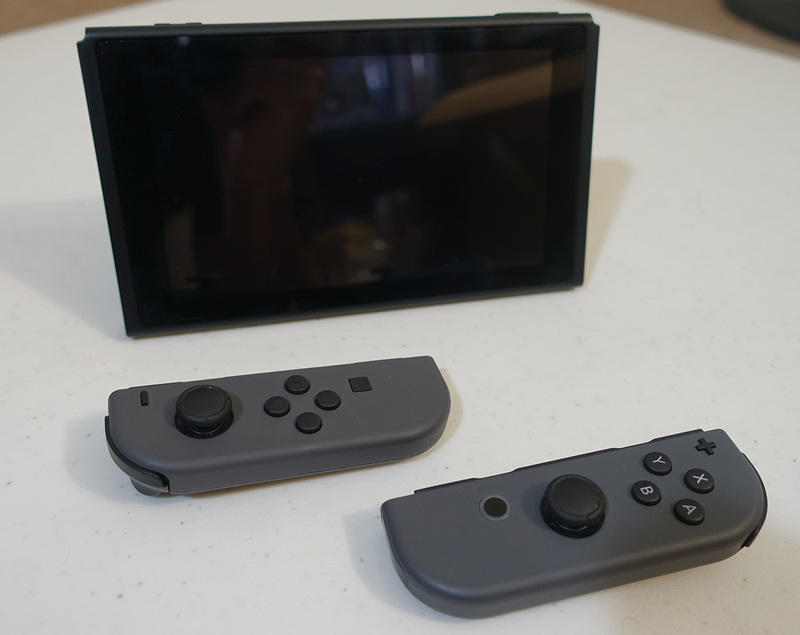 The important one for this discussion featured Joy-Con L with a directional pad replacing the direction buttons and another with the directional pad replacing the analog stick. "As described above, in the present embodiment, there may be provided different types of controllers having different functions and/or arrangements. Then, a user can use any of the different kinds of controllers by attaching the controller to the [main unit]. Thus, it is possible to provide a portable device with which it is possible to change the [controller] in accordance with, for example, user preference or the content of the application," Nintendo said in the patent application. I'm still waiting for that alternate Joy-Con L, preferably the one with the directional pad underneath the analog stick. A single Joy-Con L has an absurd manufacturer's suggested retail price (MSRP) of $59.99, but I'd pay that for a real d-pad. The Pro Controller's directional pad is nice, I just want that on a Joy-Con. Doesn't this picture well up a sense of joy within you? One manufacturer, Hori, is releasing the Mobile Cross Connector (L) for Nintendo Switch (rough translation via Google Translate) in July, which covers the problem illustrated here. The device will set you back a cool 2,480 yen ($22.78 at current exchange rates) and slide right onto your system like a normal Joy-Con. The problem is it only works in portable mode and it's missing features. You can't detach it from the system. There's no vibration, gyroscope, or accelerometer. It does one thing: give you a directional pad on the Switch portable. And we don't know how good that d-pad will be. Still, Hori will probably sell a ton because the need is there. But here's an idea for Nintendo: sell a fully functional Joy-Con with a directional pad. 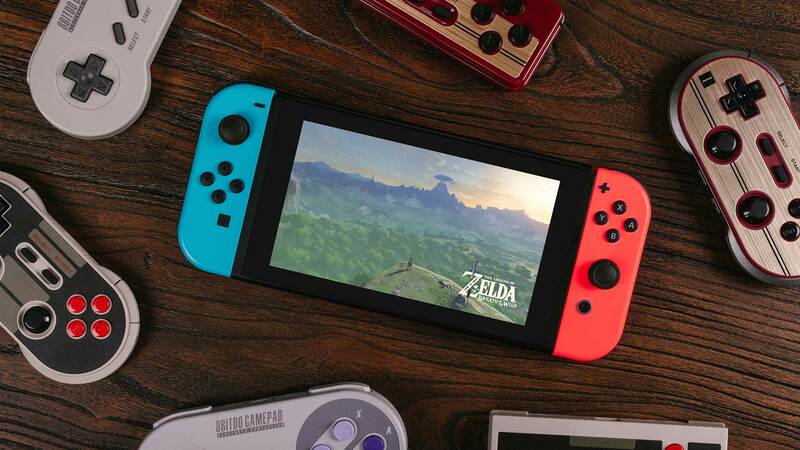 As the company begins to offer support for more retro titles through the Nintendo Switch Online service, having such a peripheral will be a boon. I want to play classic NES titles with a real d-pad on my portable Switch. The Pro Controller is a fine option, but I want that option with the system in front of me in both hands. I've been patient, Nintendo. 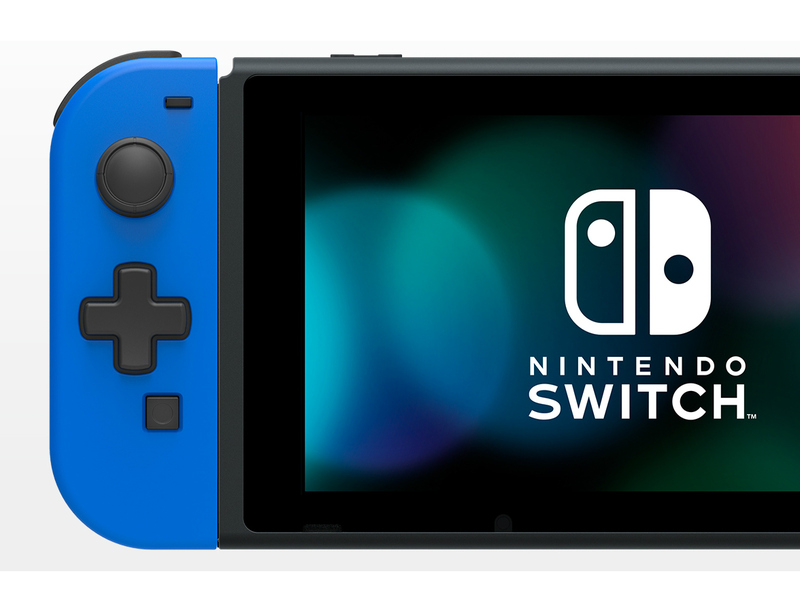 Around launch, I understood that resources had to be focused on making enough normal Joy-Cons to address sales demand, bow is the time to start thinking about a new offering. It should be one that you provide on your own, rather than letting a third-party make money on a lesser device. I love my Switch, I'm just asking that you help me love it without caveats. Tagged with Nintendo,	Nintendo Switch,	Opinions.